14.6 million children were living in poverty in 2015. 21.1 million children were living in high-poverty areas in 2015. Early childhood development (ECD) programs are important for the healthy development of individuals and communities, and as long-term economic investments. The World Bank defines ECD as “the physical, cognitive, linguistic and socio-emotional development of a child from the prenatal stage up to age eight.”3 By age three, a child’s brain has already grown to 80 percent of its full volume, making the period between the prenatal stage up through the child’s third year especially important.4 The development of children during their first few years can prepare them to acquire a wide range of skills later in life and be productive adults, or those early years can be a hindrance to their later success.5 ECD programs begin the continuum of support that children need from birth until they reach adulthood. Programs in low-income areas are even more effective as economic drivers, because, without intervention, children living in poverty have a lower chance of acquiring the proper skills to grow into productive adults. Counties provide essential services to families with young children, but many counties struggle with insufficient funding.6 Service sharing is one solution that enables counties to work together with other counties, municipalities, school districts, nonprofits, private corporations or other entities to provide early childhood services more efficiently. Intergovernmental service sharing occurs when two or more local government entities cooperate to provide a single service or set of services to residents. Service sharing can also occur between a local government entity and nonprofits, private corporations or philanthropic foundations. By age three, a child’s brain has already grown to 80 percent of its full volume. This report shows different ways that counties provide high-quality services to children and families by sharing service provision with partners. The analysis examines the role of counties in ECD, challenges and the relationship with the state and federal governments around ECD. The ECD programs featured in this report work to break cycles of multigenerational poverty and prepare the youngest generation for future academic and economic success. The case studies feature Dakota County (Minn.), Idaho North Central Public Health District, Cuyahoga County (Ohio), Durham County (N.C.) and Bedford County (Pa.); these counties showcase just a few examples of how counties across the nation are caring for their most vulnerable residents. The number one ECD service that counties provide is food and nutritional assistance. Source: NACo poll of state associations of counties, August 2017. Note: Figure 1 represents the percent of respondents who indicated that counties in their state provide that type of ECD program. Some counties are the delivery arms of federal programs focused on ECD. For example, counties in at least 33 states administer food and nutrition assistance through the federally-funded Women, Infants and Children (WIC) program. This program offers benefits, such as supplemental food and nutrition screenings, to low-income populations.13 Counties in ten states administer benefits through the Temporary Assistance to Needy Families (TANF) program, which provides cash assistance to needy families so that parents can better care for their children and maintain stable two-parent family structures.14 Other examples of federal programs that counties administer vary from the Supplemental Nutrition Assistance Program (SNAP), which provides nutritional assistance to millions of low-income individuals and families to Child Care Development Block Grants (CCDBG), which help low-income families receive child-care services. Because of their proximity to the communities and families these federal programs serve, county governments are the most effective delivery arm for these programs on the ground. The number one challenge facing county ECD programs is a lack of funding and resources. With lack of funding as the number one challenge for county ECD services, strengthening the funding partnership between the federal government, states and counties is crucial. Federal funding plays an important role in the ECD services provided by counties. Between 2013 and 2015, more than 1,500 counties invested over $129 billion of federal funding in services that affect young children and their families.22 This amount represents only a portion of federal funding for county ECD services; it just includes counties that, in total, used more than $500,000 in federal dollars during any year between 2013 and 2015. Nearly 50 federal grants fund programs for young children, varying from grants such as CCDBG – which includes funds for child-care subsidies for lower-income families – to programs that impact them and their family wellbeing, such as the Section 8 Housing Choice Vouchers. 23 One third of the federal grants that affect infants, toddlers and their families are also programs for low-income populations.24 Most often, counties receive this funding through the state (91 percent), which makes it difficult for them to differentiate between state and federal dollars for county ECD services. $129 billion of federal funding for services that affect young children and their families were invested by over 1,500 counties between 2013-2015. 91 percent of federal funding for ECD to counties was passed through states and other entities. Counties provide ECD services that are critical for low-income families and children to break the cycle of poverty. However, state limitations on counties’ abilities to raise revenue – coupled with federal and state mandates – make it a challenge for counties to generate adequate funding for their ECD programs. Funding from federal programs and state revenues are insufficient to meet the growing needs of these programs. By sharing the provision of early childhood services, counties can increase efficiencies and decrease costs while maintaining the high level of quality services families and children need. The “Birth to Age Eight Collaborative Initiative” (referred to as the “Initiative”) was developed in 2014 as part of a county board goal to coordinate early childhood services between the county and school districts so all children can begin school ready to succeed. It is a pilot program with four of the county’s ten school districts, with the goal to scale up to incorporate the entire county. The Initiative, led by Dakota County’s Public Health Department, is a collaboration between Dakota County Public Health, Dakota County Community Services, Dakota County Social Services, four school districts and two nonprofits: 360 Communities and Community Action Partnership (CAP). Leadership meets quarterly to make decisions and adopt recommendations from the Birth to 8 Steering Committee, made up of representatives from these organizations. The Initiative includes many different services for families and children provided by the county and school districts. For example, the county offers a home visiting program and administers the federal WIC program. The county receives over $4 million from WIC, all of which is passed-through the state. The school districts provide an early childhood screening to three-year old children and a kindergarten readiness assessment to children about to enter school. The districts also have child development checklists for parents to follow before and after the child enters kindergarten. Through the Initiative, the county and school districts have not developed any new programs, but rather have begun coordinating these existing programs and sharing information associated with them to have continuous data for children from birth up through third grade. In this continuum of services, the county will track key developmental milestones to determine whether a child is on track and developing properly or at risk and in need of further intervention. Examples of these milestones are the health of the child and mother at birth; developmental, speech and motor skills of children up to age three; kindergarten readiness; and reading tests while in school. These milestones are checked during home visits, the schools’ early childhood screening, the schools’ kindergarten readiness assessment and in the classroom. Families in the Initiative are referred to these various services so their children can be checked at each milestone, and children who are struggling to meet developmental goals are given additional resources by the county or schools, depending on need. Currently, Dakota County, Minn. is working to develop a technological platform to track these milestones and expect work to begin in 2018. According to Dr. Bonnie Brueshoff, director for the Dakota County Public Health Department, the Initiative specifically targets families who are at risk. Participation is voluntary, and families are identified and referred to the Initiative primarily in three ways. First, the Minnesota Department of Health provides birth certificate information to the county health department. The county reviews this information and contacts young mothers or families with identified risks, such as a baby with a low birth weight, to reach out and enroll them in their home visiting program. 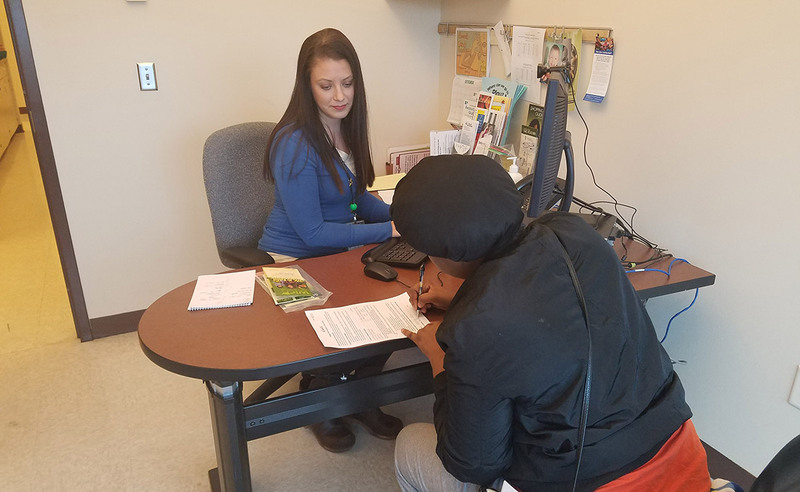 During these home visits, county Public Health Nurses make sure to refer residents to other services connected to this Initiative, such as the schools’ early childhood screening. Second, families receiving services through the WIC program will be asked if they would like to be referred to school districts who are part of the Initiative. Dakota County worked with its attorneys for nearly nine months to develop a consent form that allows them to share family contact information with the county’s school districts, so the schools can then be intentional about reaching out to the family and offer their services. Most WIC families have been willing to give their contact information to school districts. Third, families that participate in any English Language Learners (ELL) programs that the school districts provide are a focus of this Initiative. Both the county and the schools want to make sure that all families understand the services available to them and their children. Families involved in ELL programs can often be left out because of the communication barrier. 364 families were referred from the county's WIC program to the schools through the Birth to Age 8 Initiative in 2016, 75 percent of whom would not have been contacted by the school without the referral. Most of the funding for the Initiative is in-kind, leveraging existing county and school funds, mainly from the Dakota County Public Health Department. In 2016, the Initiative estimated its cost of in-kind support to be roughly $27,000.33 Grant funding from foundations provided the resources the program needed to hire a consultant and launch the program, but reliance on grants and external consultants has decreased as the program has grown. The state of Minnesota provided funding for the program through a grant to develop the “Birth to 8” technology platform for tracking developmental milestones. With its investments in ECD, Dakota County has been able to double the number of children that the school districts were able to reach and successfully engage in programs, compared to the previous school year in 2016. From May to December of 2016, the Birth to Age 8 Initiative referred 364 families from the county’s WIC program to schools, three-quarters of whom would not have been contacted by the school without the referral. Fifty-six percent of these families were unknown to the school districts, and another 19 percent had incorrect addresses in the school’s system. After the schools contacted these families, many of children were enrolled in preschool or in Early Childhood Family Education, and many received early childhood screenings who would not have otherwise. Because of this Initiative, the schools have been able to better engage families and children before entering kindergarten. An early success of this Initiative has been the ability to minimize the number of “kindergarten surprises” – i.e., children who are unknown to the school until the first day of kindergarten. Other counties in Minnesota have now begun looking at how they can replicate this model, and the Initiative’s leadership has done several presentations and spoken with various Minnesota cities and counties. – Dr. Bonnie Brueshoff, Director, Birth to Age Eight Collaborative Initiative. According to Dr. Brueshoff, the Initiative has been successful due to the committed leadership participation of all partners and its scaled implementation. Starting with four of the county’s ten school districts as a pilot has helped to establish processes and procedures that are effective. Using this smaller group of schools as a pilot allowed collaborators to identify strengths and weaknesses, as well as the best way to address these for the future rollout to the entire county. For other counties looking to implement a similar program, Dr. Brueshoff recommends starting small and scaling up, and be sure that all levels within the organization are willing to commit the time and energy to work on this issue. The Initiative has also succeeded because, rather than trying to create new programs, it focused on being more intentional with outreach to families and better collaboration among existing programs, thereby allowing different partners to leverage resources and expertise already available. One major challenge for the Initiative was navigating Minnesota’s data privacy laws to share information between the county and school districts; however, the Initiative worked with the county’s attorneys to develop proper consent forms to address this challenge. The Initiative also had success working with the Minnesota state legislature to expand existing data sharing provisions between county and schools. In the 1970s, Idaho’s 44 counties were in a financial crisis and could not afford to pay for public health services on their own. As a result, they looked toward their neighboring counties and together, the counties asked the state to form public health districts. The state legislature divided the counties into seven public health districts and agreed that if the counties would contribute 40 percent of the funding for these public health districts, the state would provide the other 60 percent. 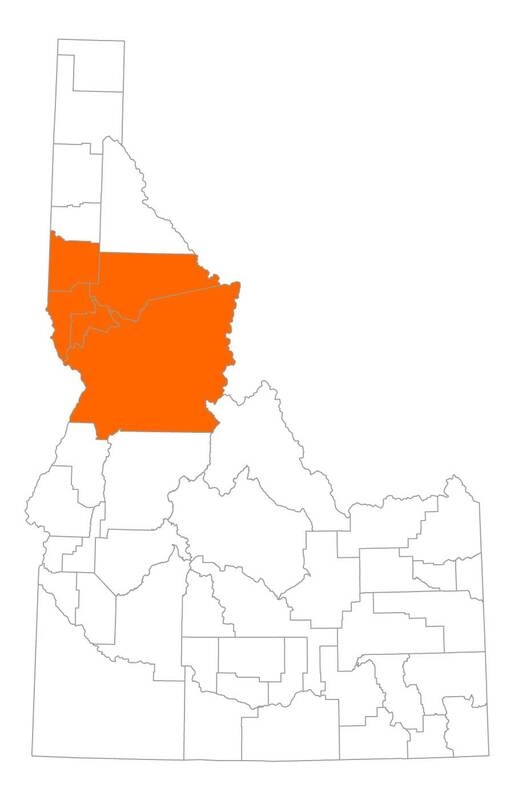 Idaho’s North Central Public Health District (referred to as “the District”) consists of Latah, Idaho, Lewis, Clearwater and Nez Perce Counties. The District’s Board of Health, comprised of a commissioner from each of the five counties and two representatives of the medical community, governs the District, which acts as an independent agency to provide public health services to residents of all five counties. The District began working on ECD in 2014 when it received a federal grant from the Health Resources and Services Administration’s (HRSA) Maternal, Infant and Early Childhood Home Visitation (MIECHV) program to develop the “Parents as Teachers” model for home visiting in the two most at-risk counties under its jurisdiction. Once the Board of Health recognized the model’s success, in 2016, the counties collectively committed funding to expand the program to the other three counties. All five counties in the District now offer home visiting services to their residents using the “Parents as Teachers” model with nurses. The program specifically targets low-income families as one of the sixteen target populations. In the model, parents receive training on a variety of topics, from health and nutrition to parenting skills, through home visits, group sessions and a network of resources. During the home visits, nurses also administer screenings, such as “Ages and Stages Developmental Screenings” and the “Adverse Childhood Experience Survey” (ACES), to identify high-risk parents and children. “Ages and Stages” aims to catch developmental delays in their infancy to help address concerns before they become more challenging, and ACES aims to break the cycle of multigenerational poverty that can occur when parents struggle to raise their children because of trauma they had as children. The services that the District offers are voluntary, and families can become connected to the home visiting program through different paths. Hospitals and physicians refer new mothers and pregnant women to the program if they see any signs to indicate that either the woman or the child is at risk. Child Protective Services (CPS) also refers families to the program, and parents can regain custody of their children by attending parenting classes. Another part of the program includes visiting parents in prison before they are released. To provide the home visits, parenting classes, childhood screenings and other services, the District has its own separate budget, which totaled $4.8 million in FY2016. The District receives funding from the counties, the state and the federal government. Each county in the District contributes funding from its general fund based on both its tax base and population size; the state then contributes general funds in a 40/60 match. From the federal government, the District received a grant from HRSA for ECD. Alongside these funding streams, the District also receives funding for other programs from contracts and fees, which comprise approximately two-thirds of its total revenue. To collect these fees, the District bills insurance companies for the services they provide residents. 92 families were served by Idaho's North Central Public Health District in 2016, 80 of which were unemployed or underemployed. As a result of the District’s ECD efforts, the program served 92 families in 2016 – 80 of which were unemployed or underemployed. In total, the program provided 728 personal visits in 2016. Also in 2016, the District served 14 families referred by CPS, nine of which had a history of drug use. Now, eight of those nine families are active in the program, clean from drug use and with regained custody of their children. Idaho’s North Central Public Health District serves low-income families in five rural Idaho counties. One challenge the counties face is that, although families should be in the program for a full three years to receive the most benefit, low-income families in the area tend to move frequently, and the District can only serve them if they remain within the five counties. It has also been difficult for the District to document its return on investment fully, because of both the movement of families and the long-term nature of investing in ECD. Hence, all five counties must remain committed to long-term success to keep their early childhood programs running. A challenge in running a regional Public Health program is building trust between counties. It is expected that each commissioner on the Board of Health would want more services directed toward his or her county, so it takes time for them to trust that the District is dividing its services according to need, which changes from year to year. Additionally, the counties have had to learn to trust each other by giving up some control of public health services and programs. – Ms. Carol Moehrle, District 2 Public Health Director. In response to these challenges, Ms. Carol Moehrle, District 2 Public Health Director, explained that cultivating trust is key for any shared services initiative. For her, rural counties across the country should learn to work with and trust their neighbors. Rural counties can often save taxpayer dollars and provide higher-quality services to residents simply by giving up some control and sharing services. For counties in other states, Ms. Moehrle advised that counties do not need a full shared public health system to start sharing services, but can begin with smaller steps and discussions of how they can avoid duplicating efforts. Other Entities Involved: The Cleveland Foundation, The Alcohol, Drug Addiction and Mental Health Services Board of Cuyahoga County (ADAMHSCC), Cleveland Department of Public Health, Bright Beginnings, Family Connections, Starting Point. In 1999, Cuyahoga County’s commissioners took on the issue of welfare reform amidst new research on the development of infant brains that stressed the importance of a child’s development during their earliest years.34 With lead funding from the Cleveland Foundation and many other local foundations, totaling approximately $40 million, the county’s commissioners launched “Invest in Children” to focus the county’s efforts on ECD.35 ECD became an even greater focus in 2015 when Cuyahoga County Executive Armond Budish redirected $10 million of county funds to the program and raised an additional $12 million of private funds with the help of PNC Bank. According to Dr. Rebekah Dorman, Director of "Invest in Children," Cuyahoga County, Ohio is one of the few counties in the country with a dedicated Office of Early Childhood, which manages and oversees the work of “Invest in Children”. The program provides an array of services, including home visiting programs for prenatal to kindergarten, early childhood mental health services, universal preschool and services to help improve the quality of child care in centers and licensed family child-care homes. The universal preschool (UPK) program makes up the largest portion of services provided, serving approximately 4,900 children – most of whom are from low- and moderate-income families. “Invest in Children” is a partnership with the private sector and nonprofit groups. To provide services to residents, the initiative contracts with lead agencies, both public and private, including: Alcohol Drug Addiction Mental Health Services Board, Cleveland Department of Health, Cuyahoga County Board of Health, Bright Beginnings, Family Connections and Starting Point. The program contracts with these lead agencies, which provide some services but, in some cases, lead agencies subcontract with other community agencies to deliver the services. Through “Invest in Children,” the county provides oversight to the services using formal contracts with each lead agency. By including private sector financial support, “Invest in Children” is able to leverage a greater pool of resources than it would be able to if the initiative used only public funds. Engaging the private sector also provides a measure of long-term stability. The UPK program of “Invest in Children” for children ages 3-5, which began in 2007, is one exception to the model. Rather than contract out to a lead agency, “Invest in Children” manages this service and then contracts directly with high quality child-care providers across the county including an array of public preschools, private preschools, Head Start programs and family child-care homes. The tuition rates for preschool are set by each program, and some programs, like Head Start or public preschools, are free to eligible families. “Invest in Children” provides scholarships based on income for families with incomes up to 400 percent of the federal poverty level. “Invest in Children” had a budget of approximately $13 million in FY2016. Its primary source of funding comes from Cuyahoga County’s two health and human services (HHS) levies, which voters must approve periodically. The first HHS levy was last approved in 2013 and will be up for renewal in 2018, while the second HHS levy was passed in 2016 and will last until 2024.36 Combined, these HHS levies totaled nearly $238 million. A variety of foundations in the area contribute grant funding to the program, too, but this funding has ebbed and flowed with the economy. Private funding has funded most of the evaluations for “Invest in Children”, and has also been critical for program innovation and expanding existing programs. The UPK program also received a grant in 2016 from the U.S. Department of Education to conduct a feasibility study to determine whether a "Pay for Success" financing model to sustain the program is possible. Children from an Invest in Children UPK site scored 3 points higher on the Kindergarten Readiness Assessment, which represents a 36 percent greater chance of passing the Third Grade Reading Assessment. The Special Needs Child Care program – which provides technical assistance to providers to maintain children with developmental, medical and/or behavioral challenges in their child-care setting – has demonstrated that 6 months after the assistance has been provided, over 80 percent of the children are still within that same child-care setting. Children enrolled in the UPK program showed statistically significant gains in school readiness over the course of the year on all five subscales of the Bracken School Readiness Assessment. Children with the lowest performance on the first Bracken assessment in the Fall show the greatest gains. Children who entered the Cleveland School District from a UPK site scored on average, three points higher on the Kindergarten Readiness Assessment – Literacy (a mandatory assessment in Ohio). That three-point gain represents a 36 percent greater chance of passing the Third Grade Reading Assessment than the comparison group. The majority of parents of children receiving Early Childhood Mental Health Services reported that they were pleased with the progress made by their child and family. Most parents reported that their child was doing better, their family was doing better and their relationship with their child had improved. Overall, respondents reported that the program helped them deal with their child and family issues. The economic downturn in 2007-2008 posed the first funding challenge to the initiative since its inception: some state funding streams were reduced or eliminated, and foundations became more restrictive in grantmaking. To overcome this challenge, the initiative identified new funding streams to support key programs and created a different relationship with foundations by making specific grant requests, rather than requesting grants for general operating funding. – Dr. Rebekah Dorman, Director, Cuyahoga County Invest in Children. To any other counties looking to replicate this model, Dr. Dorman recommended that, in addition to working closely with public sector leaders, they also engage the private sector and build a brand that will outlast leadership changes. Business leaders will understand the long-term return on investment that the economic research has documented.38 Nevertheless, Dr. Dorman emphasized that partnerships, such as “Invest in Children,” succeed best when county leaders give their support and make ECD a priority. In the early 2000s, the Duke Endowment, located in Charlotte, North Carolina, decided to dedicate grant funding to addressing the rate of childhood maltreatment in the state. The Endowment approached the Duke Center for Child and Family Policy to develop a program that would specifically target risk factors for child abuse and neglect, and promote ECD by partnering with nonprofits and local government agencies in the county. They wanted to develop a program that was grounded in scientific research on ECD and standardized, so it could be replicated across the country. After several years of development and piloting with iterative improvements, “Durham Connects” was launched in 2008 as a partnership between the Duke Center for Child and Family Policy, the nonprofit Center for Child and Family Health and the Durham County Department of Public Health. This partnership has allowed each entity to leverage its strengths and connections to improve ECD. Infants in "Durham Connects" had 59 percent fewer emergency medical care episodes; these reductions produced $3 in savings for every $1 invested in "Durham Connects." Since its inception, “Durham Connects” has proven to be very successful. Results from an 18-month Randomized Controlled Trial (RCT) of “Durham Connects” indicated that 94 percent of families that received a home visit had at least one nurse-identified need best addressed either by direct nurse education or by connecting the family to community resources and services for long-term support.41 These needs may have otherwise gone unidentified in the absence of the program. Durham County has also seen a decrease in the number of child maltreatment cases and in child emergency medical care. Infants exposed to the “Durham Connects” program had 59 percent fewer emergency medical care episodes than infants not in the program.42 The reductions in emergency medical care are estimated to produce $3 in savings for every $1 invested in “Durham Connects.”43 The program has been certified by the federal MIECHV Program as an evidence-based home visiting program, and is now being disseminated to counties across the United States. – Ms. Ashley Alvord, Director of Dissemination and Program Certification, Durham Connects. Despite the successes of “Durham Connects,” the program has faced several challenges. First, securing sustainable funding has been an ongoing challenge. Since some funding comes from donations and endowments, fluctuations in revenue sources can occur during economic downturns. Because home visiting programs in the United States are almost exclusively multi-year programs offered exclusively to low-income families, “Durham Connects” has also run into periodic implementation challenges. Some families did not participate because they thought that the program is offered only to lower income families, which ultimately discouraged full participation from the community. For other counties wishing to replicate this model, public awareness campaigns are important to encourage full participation. In the late 1990s, Bedford County, Pa. launched the “Unified Family Services System” (UFSS) to better coordinate and plan its services to children and families. Bedford County is home to five school districts and one public charter school that operate independently of the county. Led by Bedford County’s Collaborative Board, UFSS provides administrative oversight and funding to complement services provided by school districts. The county’s three commissioners sit on the Collaborative Board alongside the five superintendents of Bedford County’s independent school districts, the CEO of the county’s public charter school and representatives of human services agencies, hospitals, the faith community and private businesses, among other stakeholders, totaling 35-40 members. The Board pulls together these various stakeholders to assess community needs and develop a community action plan that will build on community strengths and fill in gaps in child and family services, which UFSS then implements. The Board also provides training and resources for its partners to implement evidence-based programs under the oversight of UFSS, including those focused on ECD. UFSS looks for programs that have been developed and evaluated elsewhere across the country to implement in Bedford County because, being located in a small county with few resources, UFSS wants to focus all its resources on directly serving residents. “The Incredible Years” is a program that was developed by Carolyn Webster-Stratton, currently a professor at the University of Washington, and evaluated in numerous studies.45 The program was developed for two audiences. The first audience is preschool through second grade children (age 2 to 8) in the classroom setting, who are taught 30 to 60 socio-emotional lessons per school year. Some of the lessons include learning how to make friends and follow rules, understanding feelings, problem-solving and other social skills. For students displaying developmental problems, there is an additional 18- to 21-week program. The second audience is the parents of children ages 2 to 6. The parent curriculum typically lasts 10-14 weeks and consists of one two-hour session per week. During these meetings, parents learn about supportive caregiving, child-directed play, communication, monitoring, discipline and building bonds. UFSS began implementing this program in 2008 in collaboration with Bedford County, its school districts, the federal program Head Start and several private day care centers. “Raising Healthy Children” is a four-year program developed by Richard Catalano of the University of Washington’s School of Social Work and also proven effective by various research studies.46 UFSS began this program during the 2006-2007 school year in all Bedford County elementary schools. “Raising Healthy Children” provides parenting workshops for parents of elementary and middle school students, training for all elementary school teachers and social skills training for all elementary school students. “LifeSkills Training” began in Bedford County during the 2007-2008 school year. This program was developed by Gilbert Botvin, currently a professor at Columbia University, and, like the previous two programs, also evaluated.47 “LifeSkills Training” provides social training for middle and junior high school students through a three-year curriculum aimed at reducing substance abuse and developing student self-esteem. Part of the program includes workshops for parents aimed to strengthen communication between parents and students, so that parents can encourage their children to transition to adulthood successfully. When planning their initiatives for UFSS, the Collaborative Board uses the “Communities that Care” (CTC) process for planning. CTC is a model that aims at reducing youth drug and alcohol abuse, as well as juvenile crime and violence. It involves the entire community through a youth survey, engages key stakeholders and creates small groups of “catalyst teams” to pioneer the change. Through this process, UFSS assessed Bedford County’s resources and needs, and identified which programs would be most effective in serving residents. “The Incredible Years,” “Raising Healthy Children” and “LifeSkills Training” were all programs that resulted from the CTC planning process. 5,000 students were exposed to the three UFSS programs and 1,300 parents participated in workshops within the first year of implementation. UFSS and its programs are funded by contributions from local school districts, the county’s Children and Youth Services Department, private businesses in the community and state and federal grants. The county assumes responsibility for seeking out all grants for each program. “The Incredible Years” is funded primarily by a four-year grant for approximately $600k from the Pennsylvania Commission on Crime and Delinquency. “Raising Healthy Children” and “LifeSkills Training” are also primarily funded by grants from the Pennsylvania Commission on Crime and Delinquency. Aside from these state grants, the state contributes funding in an 80/20 match, meaning that the county covers 80 percent of the cost and the state the other 20 percent. – Ms. Lyn Skillington, Executive Director, Unified Family Services Systems of Bedford County. According to Ms. Lyn Skillington, Executive Director of UFSS, changes in the Collaborative Board’s membership have created challenges in maintaining commitment and buy-in. The Collaborative Board has been around for nearly a decade and has experienced inevitable changes in leadership. Each new Collaborative Board member must become acquainted with each program’s work and importance so that the programs can all have continual support from the top. Securing funding continues to be another challenge for UFSS, especially since its programs rely a lot on grant funding. Ms. Skillington emphasized the importance of gaining buy-in from all stakeholders for any county wishing to replicate this model. Ms. Skillington explained that what has helped the success of UFSS is using programs that are backed with evidence-based research from across the country. Since these models have already been tested, Bedford County, and all other stakeholders, can focus their resources and services to implement a strong program, rather than using these resources to come up with and test a new model. Counties across the nation are working to serve children during their most crucial years of development. The skills that counties help young children acquire can set them on a path to academic and economic success. In low-income areas, county ECD programs take on a special importance as they seek to break the cycle of multigenerational poverty. By sharing service provision with other counties, cities, school districts, nonprofits, private sector and other entities, county governments can harness efficiencies and continue providing these essential services to children and families. NACo Analysis of U.S. Census Bureau, Small Area Income and Poverty Estimates 2015. Economic Innovation Group, “The 2016 Distressed Communities Index: An Analysis of Community Well-Being Across the United States” (2017). The World Bank, “FAQs: Early Childhood Development” (2010), available at http://siteresources.worldbank.org/EXTAFRREGTOPEDUCATION/Resources/444707-1291071725351/ECCD-factsheet-final.pdf (November 30, 2017). The Urban Child Institute, “Baby’s Brain Begins Now: Conception to Age 3,” (2017), available at http://www.urbanchildinstitute.org/why-0-3/baby-and-brain (November 30, 2017). Timothy J. Bartik, “The Economic Development Effects of Early Childhood Programs,” (Kalamazoo, MI: W.E. Upjohn Institute for Employment Research, 2008). U.S. Department of Health & Human Services, “About the Early Head Start Program” (2017), available at https://eclkc.ohs.acf.hhs.gov/programs/article/about-early-head-start-program (November 27, 2017). This survey was a live poll of 29 individuals from 17 different associations and states. See here a list of states participating in the poll: Jonathan Harris, “2017 Top County Challenges Across the States: The 2017 NACo-NCCAE Knowledge Management Forum” (Washington, D.C.: National Association of Counties, 2017), available at ww.naco.org/2017-KMF (November 30, 2017). The poll took place on August 29, 2017 at the 2017 NACo-NCCAE Knowledge Management Forum in Washington, D.C.
 NACo, 2017 NACo-NCCAE Knowledge Management Forum Live Poll Results, August 2017. Los Angeles County, Calif. Chief Executive Office, “Steps to Excellence Program” (2017), available at http://ceo.lacounty.gov/ccp/step.htm (November 27, 2017). Read 20, “Our Work” (2017), available at http://read20.org/our-work/ (November 27, 2017). U.S. Department of Agriculture, “Women, Infants and Children” (2017), available at https://www.fns.usda.gov/wic/about-wic-wic-glance (November 27, 2017). See NACo, “Serving the Underserved: Counties Addressing Poverty” (July 2017), available at http://www.naco.org/sites/default/files/documents/Addressing-Poverty.pdf (December 1, 2017). Wisconsin Counties Association, “Who Suffers? The Impact of Wisconsin’s Drug Epidemic on Children” (2016). Griffith, Harris, and Istrate, “Doing More with Less”. Children’s Services Council of Palm Beach County, “Our Mission and Vision” (2017), available at http://www.cscpbc.org/mission (November 27, 2017). Children’s Services Council of Palm Beach County, “Quick Facts about Children’s Services Council” (2017), available at http://www.cscpbc.org/cscfacts (November 30, 2017). NACo Analysis of Federal Audit Clearinghouse Data, 2013-2015. This represents a subset of all counties that used federal dollars for ECD between 2013 and 2015, those that reported investing at least $500,000 in total federal dollars in any year between 2013 and 2015. This reflects only grant programs and it does not include federal tax expenditures. Based on an analysis of the federal grants that impact infants, toddlers and their families, as identified by ZERO to THREE, What’s in the Budget for Babies?, September 29, 2016, available at https://www.zerotothree.org/resources/1526-what-s-in-the-budget-for-babies. According to the U.S. Government Accountability Office (GAO), about 77 federal grant programs provide financial support to low-income people. U.S. Government Accountability Office (GAO), Federal Low-Income Programs, July 2015, available at http://www.gao.gov/assets/680/672129.pdf. NACo, “Medicaid and Counties: Understanding the Program and Why It Matters to Counties” (2017). NACo Analysis of Federal Audit Clearinghouse Data, 2013-2015. Illinois Department of Human Services, “Temporary Assistance for Needy Families” (2017), available at http://www.dhs.state.il.us/page.aspx?item=30358 (November 27, 2017). U.S. Department of Health & Human Services, “Title IV-E Foster Care” (2012), available at https://www.acf.hhs.gov/cb/resource/title-ive-foster-care (November 27, 2017). See, for example, Leila Fiester and Ralph Smith, “Early Warning! Why Reading by the End of Third Grade Matters,” (Baltimore, MD: Anne E. Casey Foundation, 2010). See Timothy J. Bartik, “The Economic Development Effects of Early Childhood Programs,” (Kalamazoo, MI: W.E. Upjohn Institute for Employment Research, 2008). This amount does not include $58,000 it paid to an outside consultant. See, for example, The Urban Child Institute, “Baby’s Brain Begins Now: Conception to Age 3,” (2017), available at http://www.urbanchildinstitute.org/why-0-3/baby-and-brain (November 30, 2017). Claudia Coulton and colleagues, “Cuyahoga County Early Childhood Initiative evaluation: Phase I final report,” (Cleveland, OH: Case Western Reserve University, Center on Urban Poverty and Social Change, Mandel School of Applied Social Sciences, 2003). William Tarter, “Get to Know the Health and Human Services Levy,” (The Center for Community Solutions, 2017), available at https://ccs.memberclicks.net/assets/docs/County_Budgeting_Matters/cbm_health%20and%20human%20services%20levy_wtarter_04052017%203.pdf (November 30, 2017). The following statistics were given by the interviewee, Dr. Rebekah Dorman, Director of Cuyahoga County Invest in Children. See, for example, Timothy J. Bartik, “The Economic Development Effects of Early Childhood Programs,” (Kalamazoo, MI: W.E. Upjohn Institute for Employment Research, 2008). NACo Analysis of U.S. Census Bureau, American Community Survey 2011-2015 5-Year Estimates. Kenneth Dodge and Ben Goodman, “Durham Connects Impact Evaluation Executive Summary,” (Pew Center on the States, 2012). Dodge, K.A., Goodman, W.B., Murphy, R.A., O’Donnell, K., Sato, J., and Guptill, S. (2014). “Implementation and randomized controlled trial evaluation of universal postnatal nurse home visiting [Special Issue]". American Journal of Public Health, 104, 36-43. See, “Evaluation”, The Incredible Years (2013), available at http://www.incredibleyears.com/for-researchers/evaluation/ (November 30, 2017). See “Raising Healthy Children,” Blueprints for Healthy Youth Development (2017), available at http://www.blueprintsprograms.com/evaluation-abstract/raising-healthy-children (November 30, 2017). See “Resource Fact Sheet,” Botvin LifeSkills Training, available at http://www.lifeskillstraining.com/resource_facts.php (November 30, 2017). Jennifer Howard, “Everett Elementary Featured in Video,” Bedford Gazette, 2009. Carolyn Webster-Stratton, “The Incredible Years Parent, Teacher and Child Programs Fact Sheet,” (2013), available at http://www.incredibleyears.com/about/ (November 30, 2017). “Raising Healthy Children,” Unified Family Services System of Bedford County (2010), available at http://www.ufssbedford.org/rhc/index.html (November 30, 2017). “Skills for Life,” Unified Family Services System of Bedford County (2010), available at http://www.ufssbedford.org/lifeskills/index.html (November 30, 2017). The authors would like to thank Dr. Bonnie Brueshoff (Dakota County, Minn.), Carol Moehrle (Idaho North Central Public Health District), Dr. Rebekah Dorman (Cuyahoga County, Ohio), Ashley Alvord (Durham County, N.C.), Dr. Ben Goodman (Durham County, N.C.) and Lyn Skillington (Bedford County, Pa.) for providing essential information and comments for this study. Without them, this project would not have been possible. The authors would also like to thank attendees of the 2017 NACo-NCCAE Knowledge Management Forum for participating in the NACo poll that provided additional information for this study. Within the National Association of Counties, the authors would like to thank Christina Iskandar, Tadas Pack, Cheryl Burnett, Maeghan Gilmore and Eryn Hurley for their helpful comments and contributions. A big thank you goes to Kelsey Wilson for her work. The authors also express their appreciation to their Public Affairs colleagues for the graphic design and the website of the report.